The International Criminal Court has run into serious problems with its first big case - the situation in northern Uganda. There is no doubt that appalling crimes have occurred here. Joseph Kony's Lord's Resistance Army have abducted thousands, many of them children, and have systematically tortured, raped, maimed and killed their victims. Nevertheless, the ICC has confronted outright hostility from a wide range of groups, including traditional leaders, representatives of the Catholic and Anglican Churches, and non-governmental organizations. Even the Ugandan government, which invited the ICC to become involved in 2003, has been expressing serious reservations. For many, the Court is spoiling the peace process and is making continued warfare and suffering more likely. 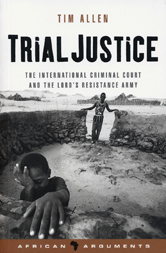 This book argues that much of the antipathy to the ICC is based upon ignorance and misconception. Drawing on field research in Uganda, it shows that victims are much more interested in punitive international justice than has been suggested, and that the ICC has made resolution of the war more likely.